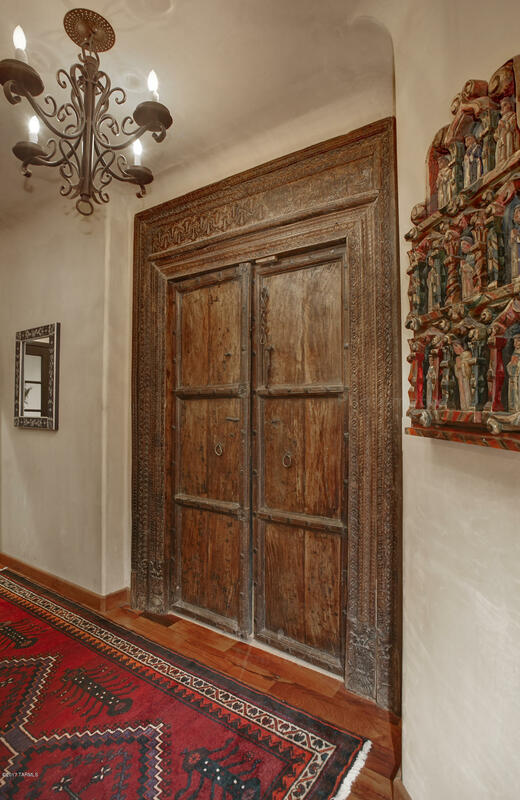 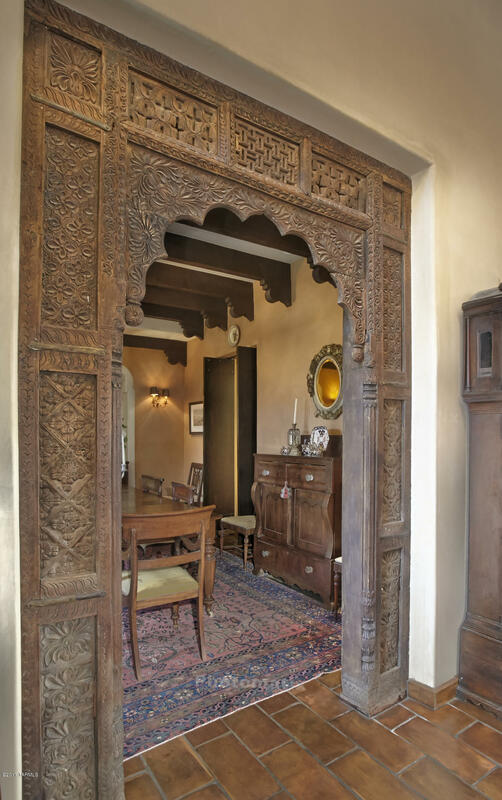 A handcrafted work of art in the prestigious ''Old Foothills''! 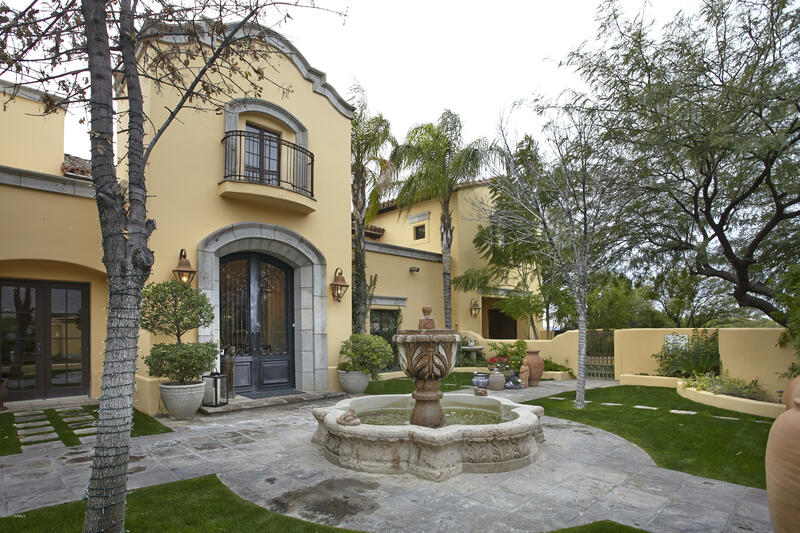 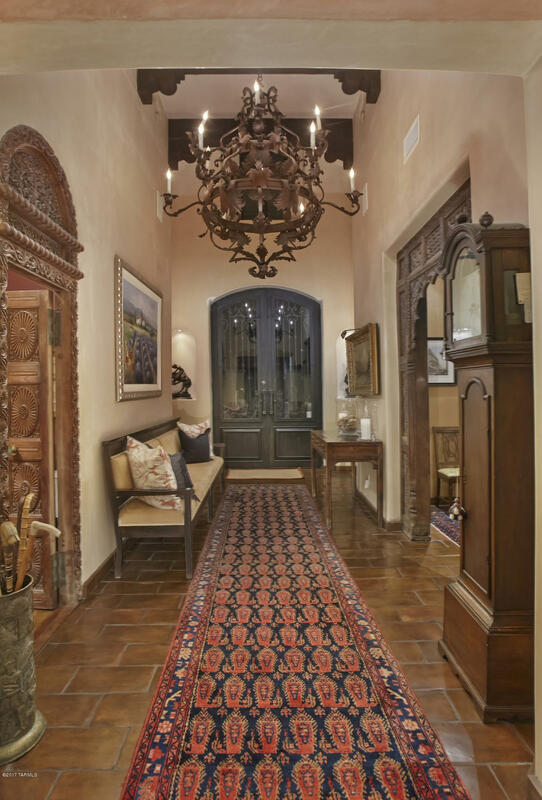 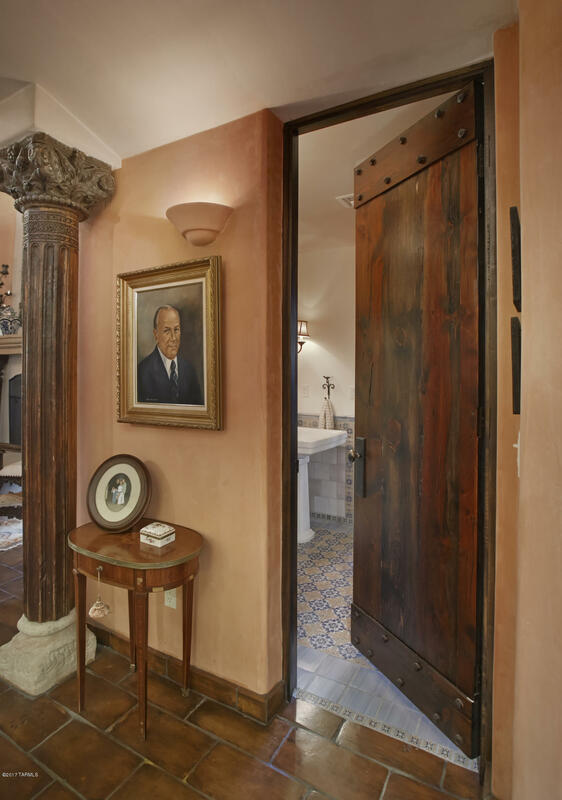 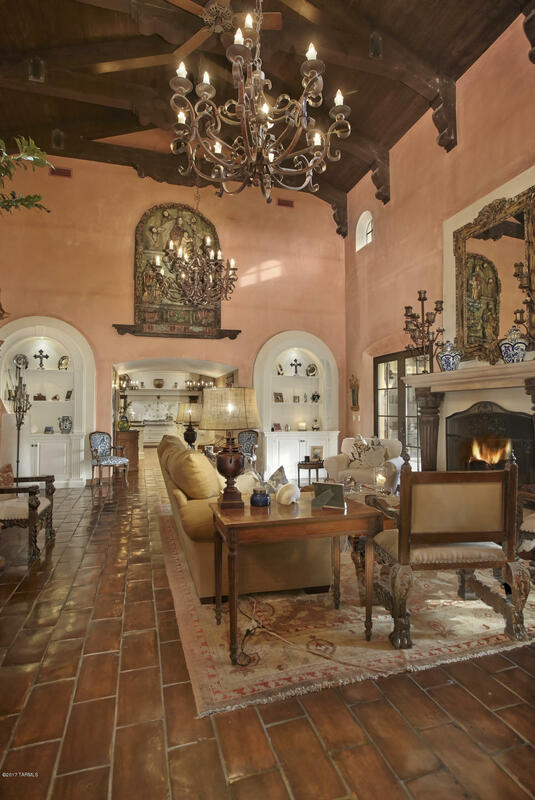 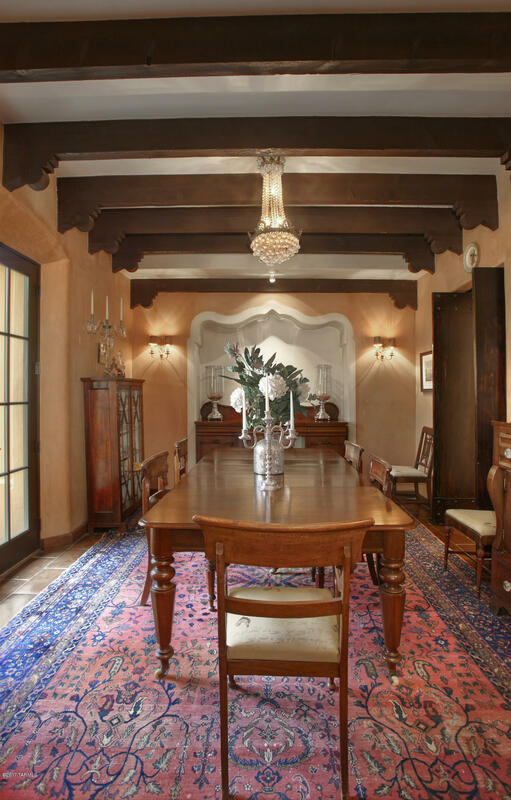 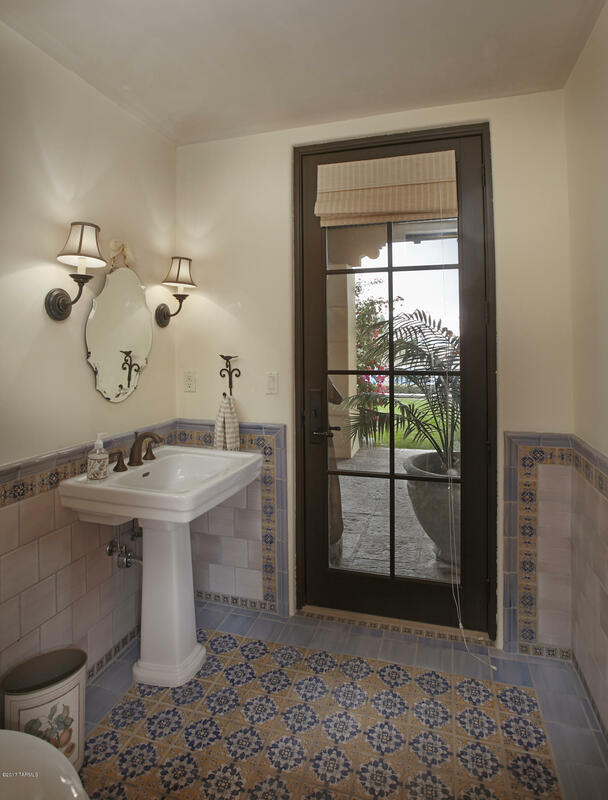 This Spectacular Gated Estate combines the best of old world Spanish Colonial Architecture & Timeless Santa Barbara Design. 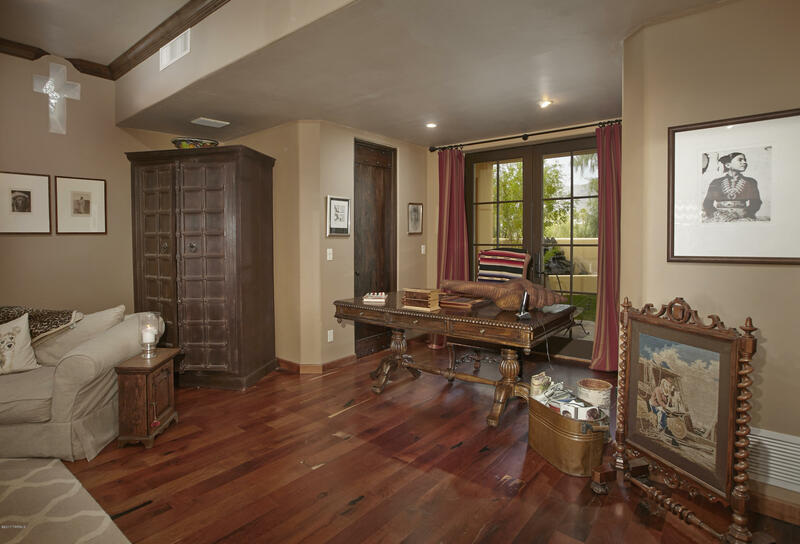 Built in 2005 on one of the best lots in the foothills, this stately home sits on 3.25 private acres w/stunning views & private well. 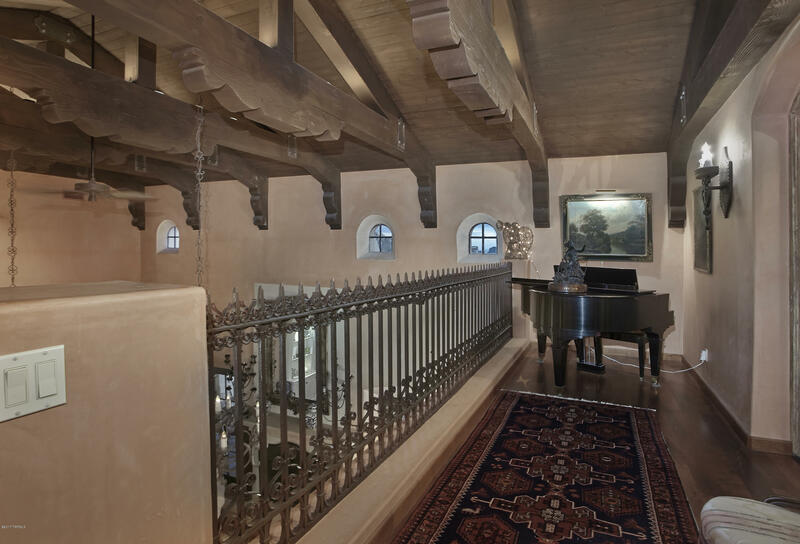 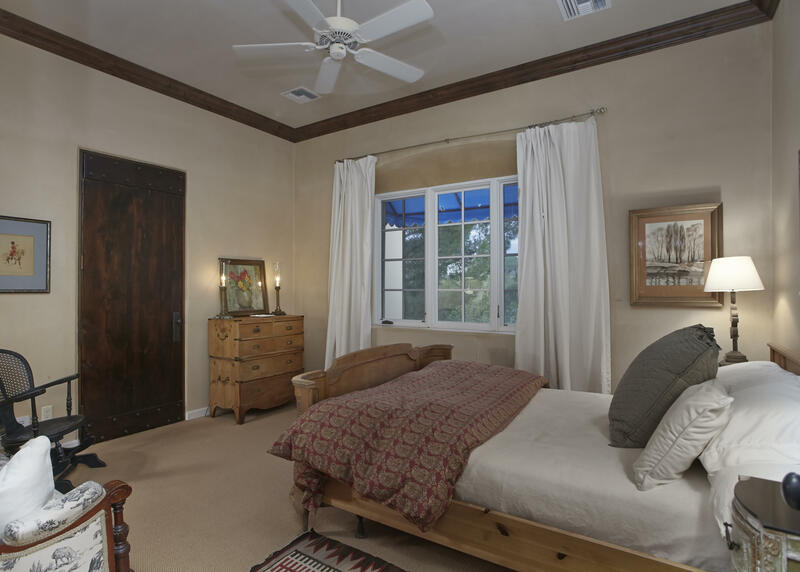 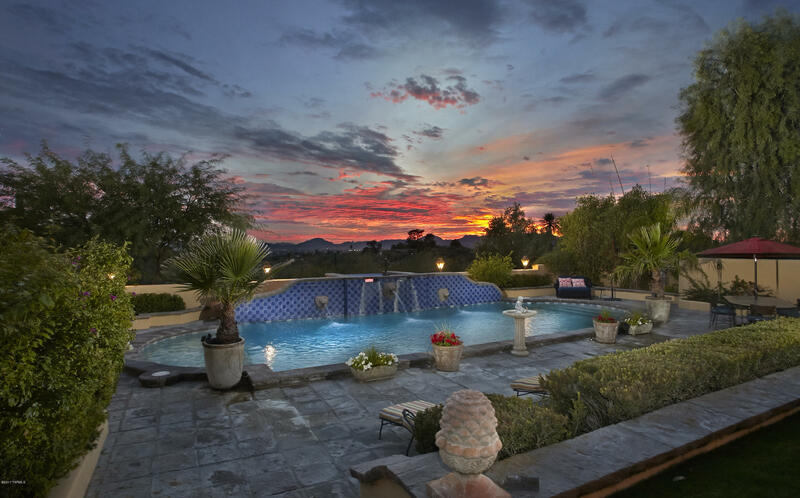 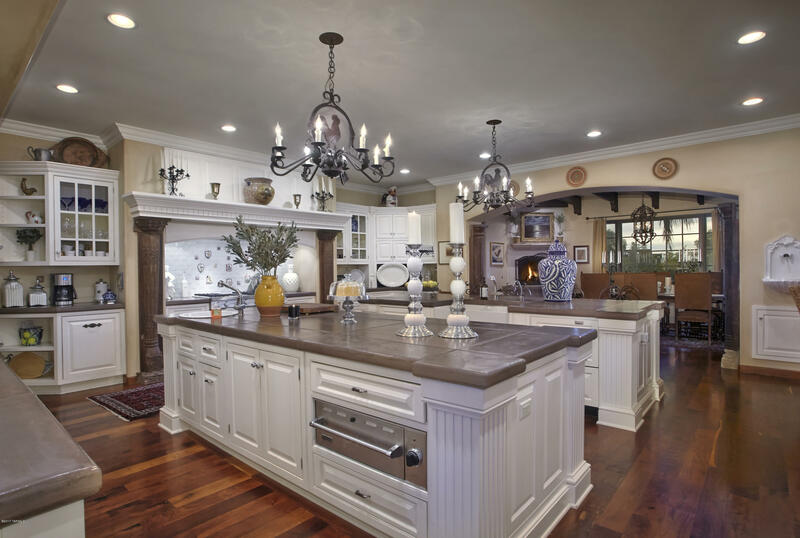 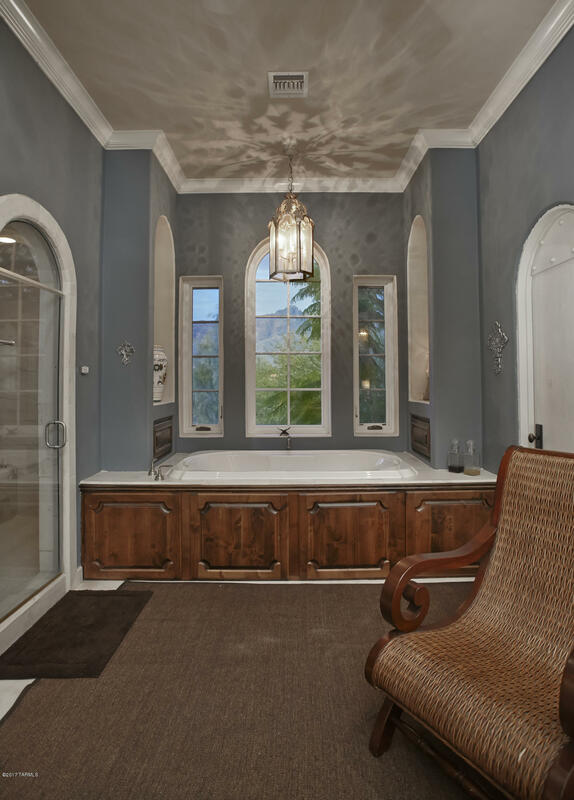 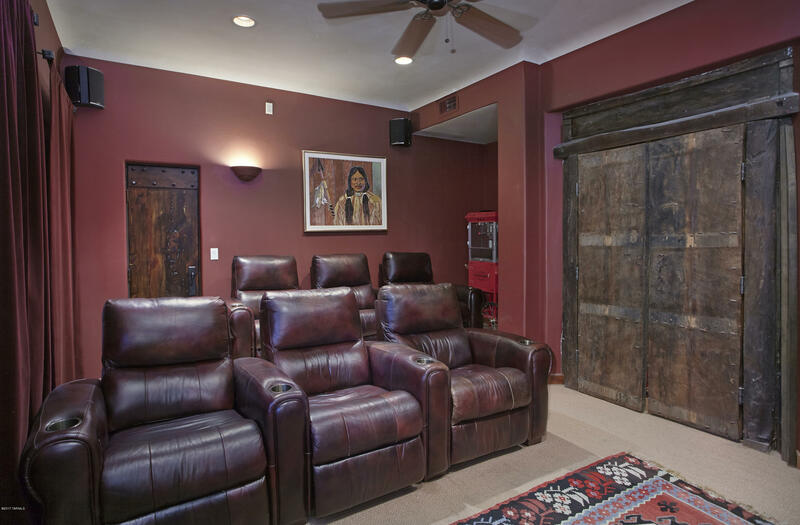 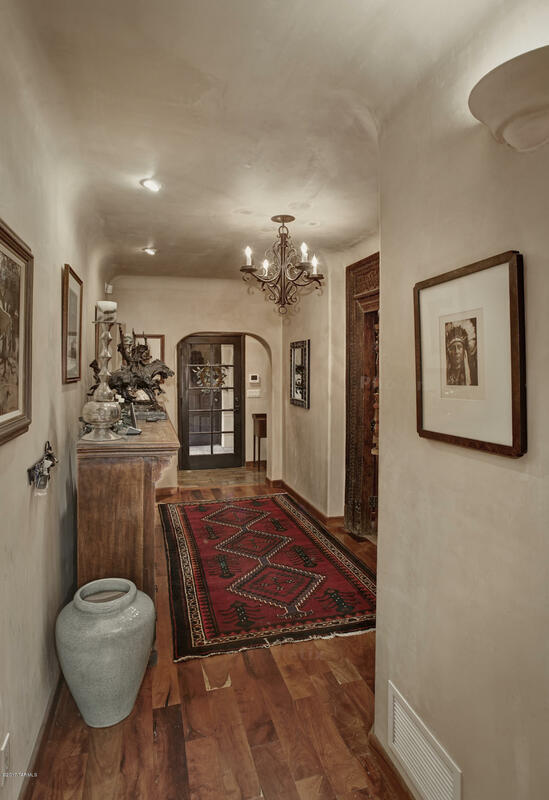 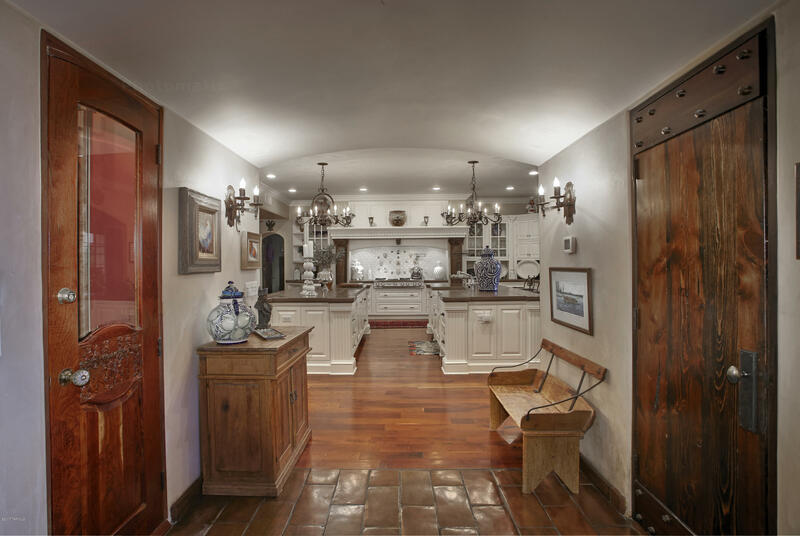 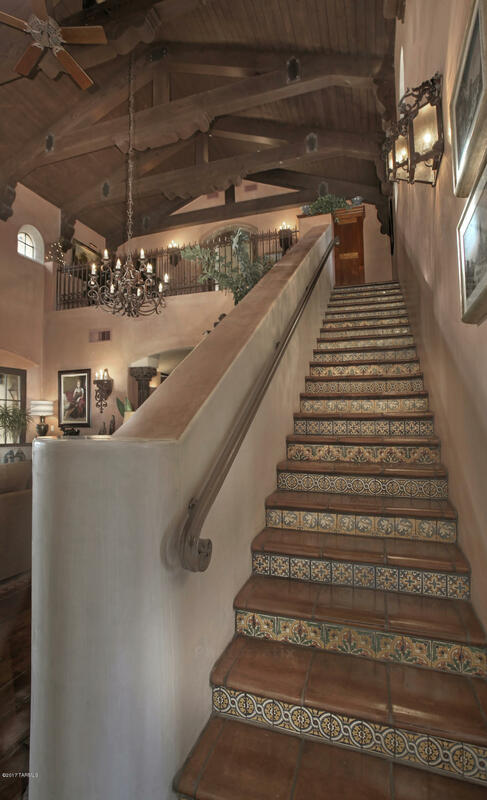 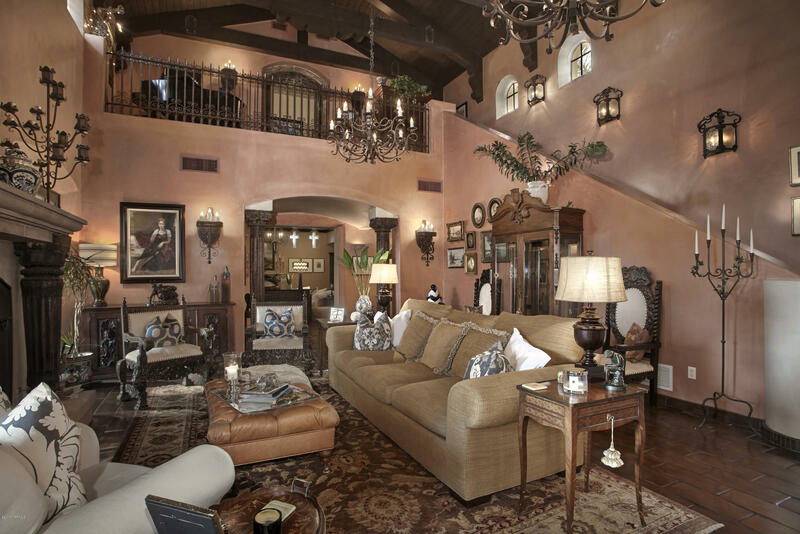 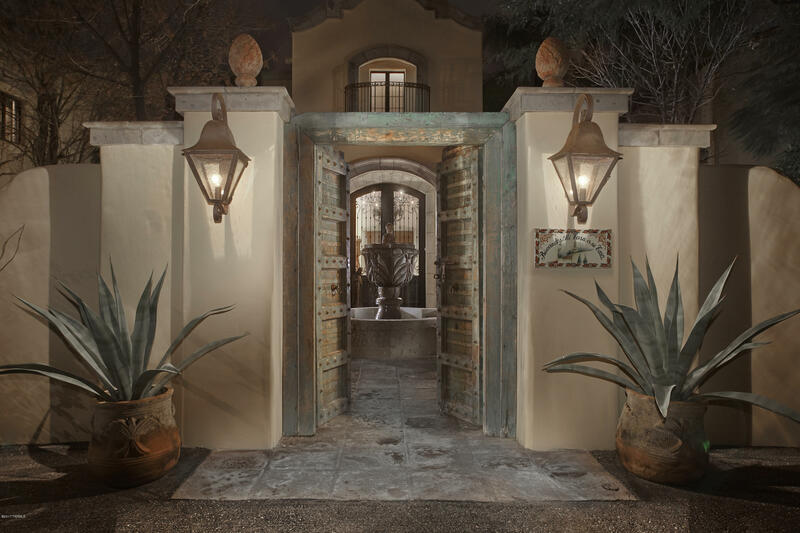 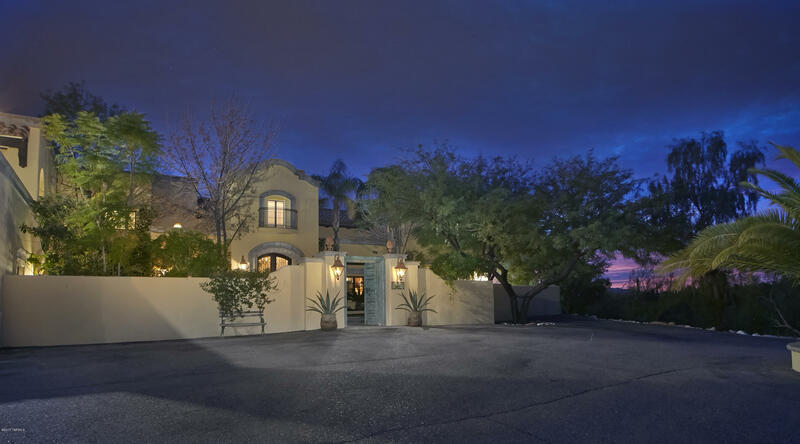 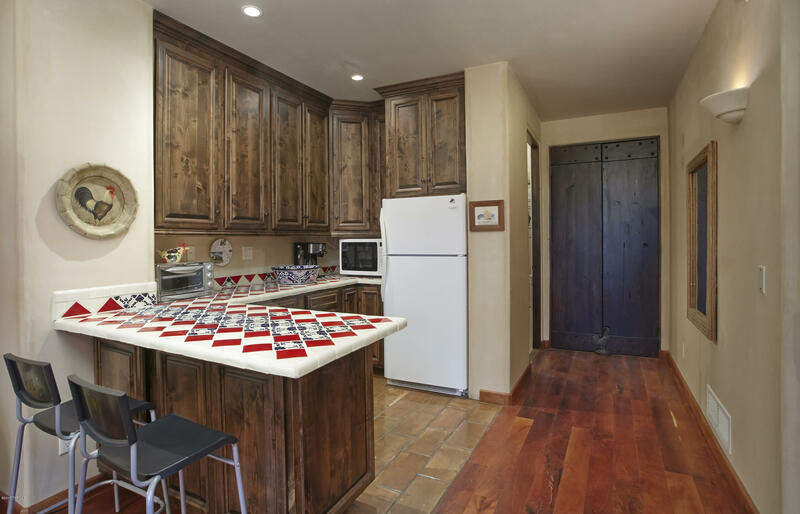 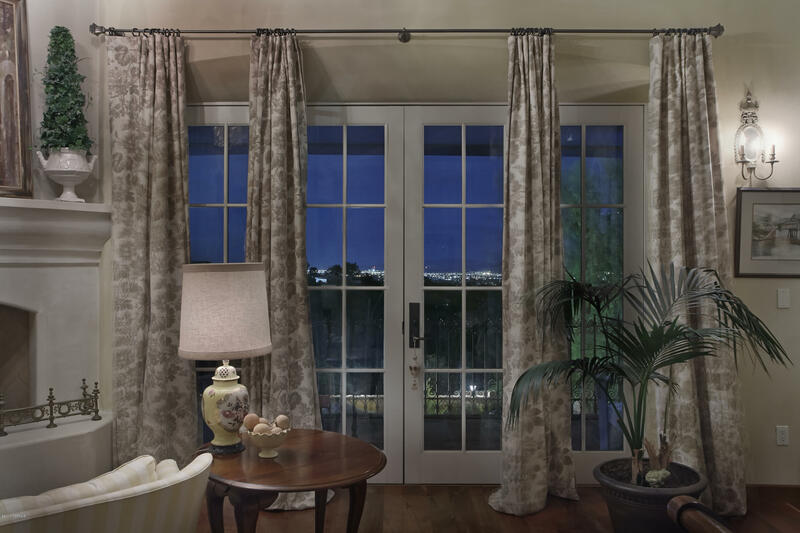 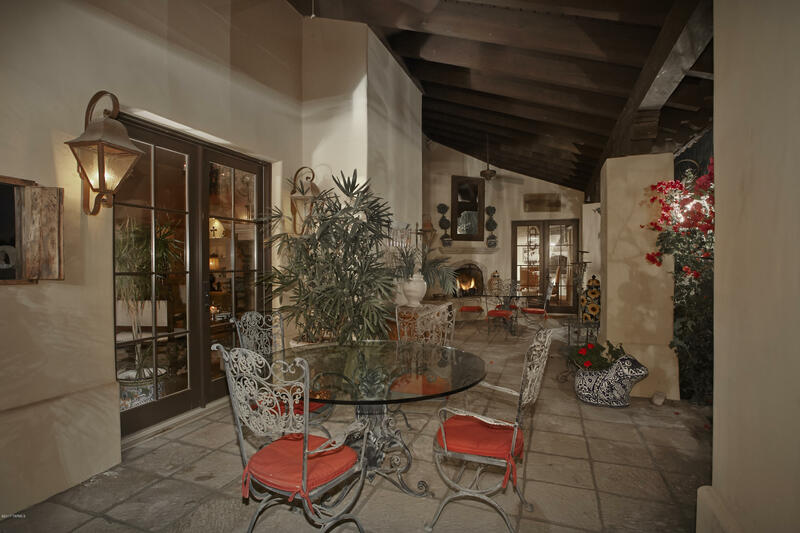 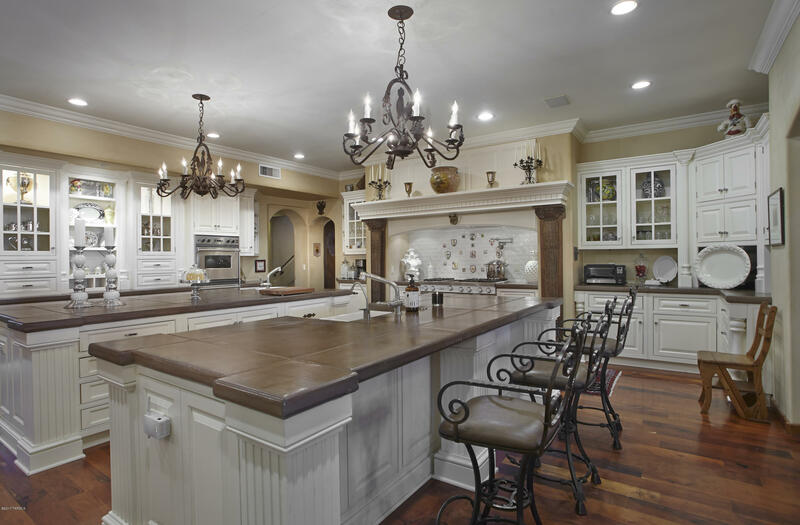 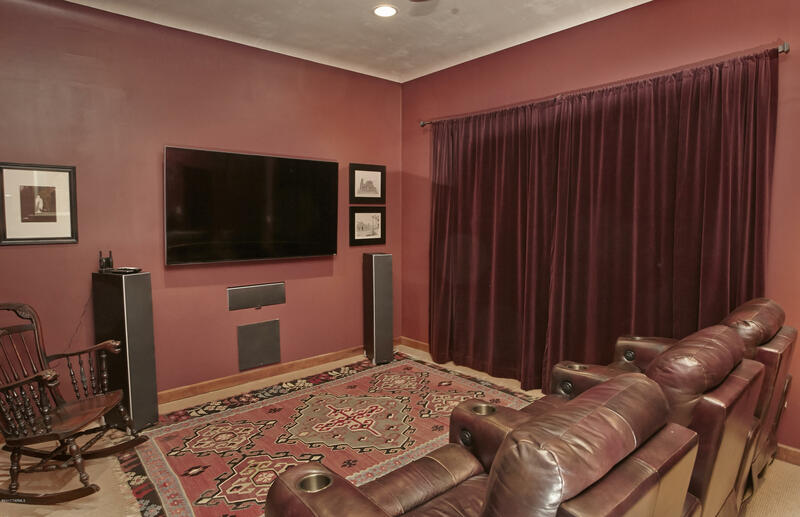 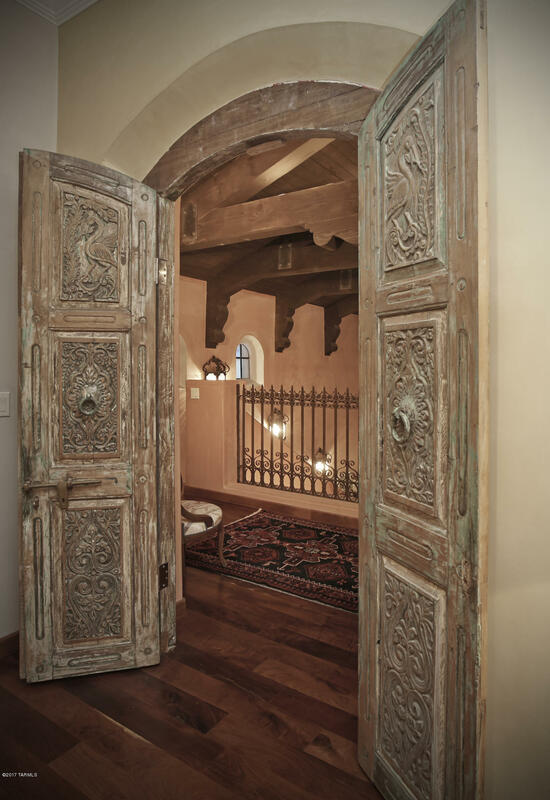 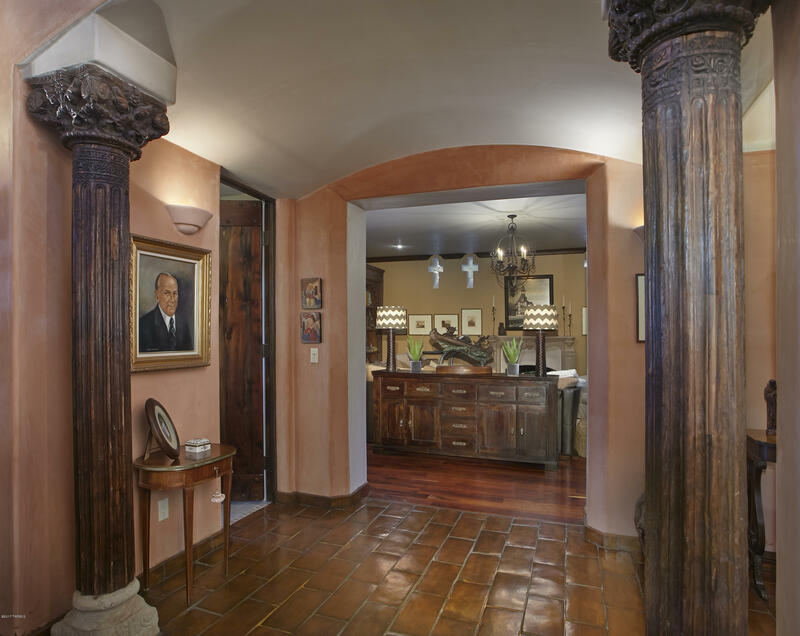 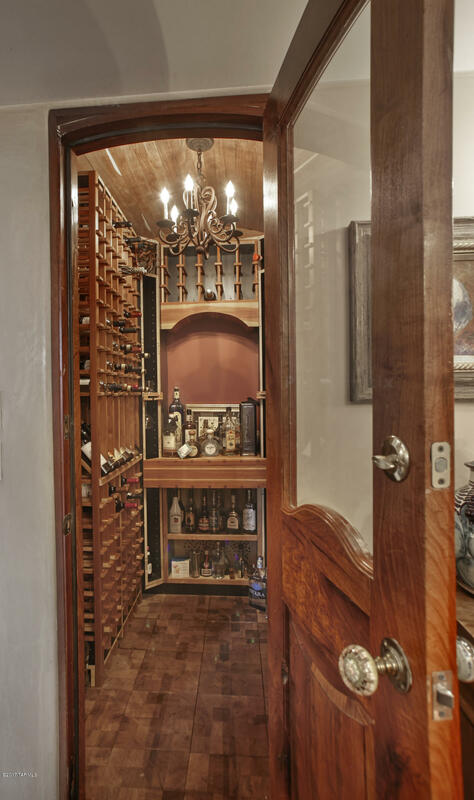 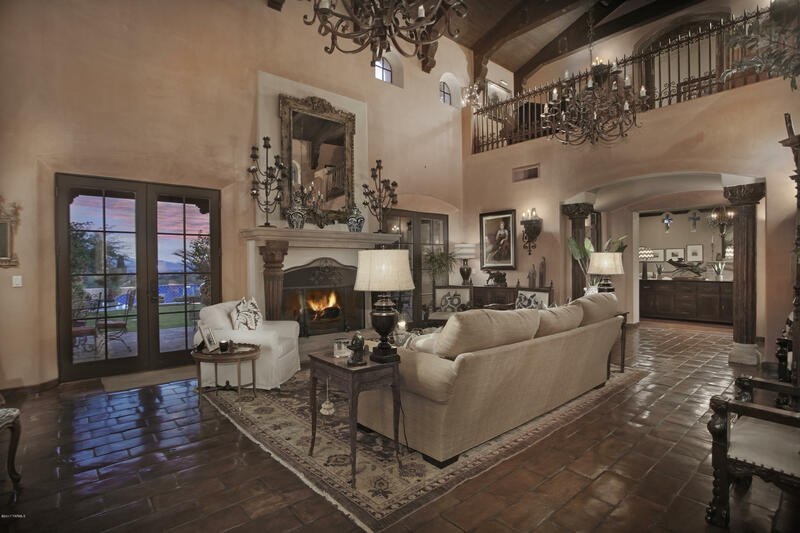 Exquisite finishes include Imperial plaster, mesquite wood floors, Imported tiles, Cantera stone accents, antique doors, hand carved beamed ceilings, 7 fireplaces, home theatre, wine cellar & the BEST kitchen in all of Tucson! 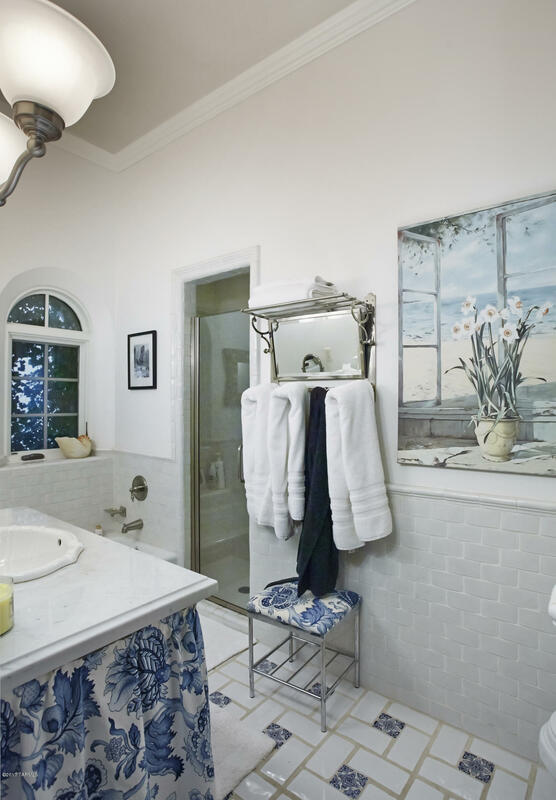 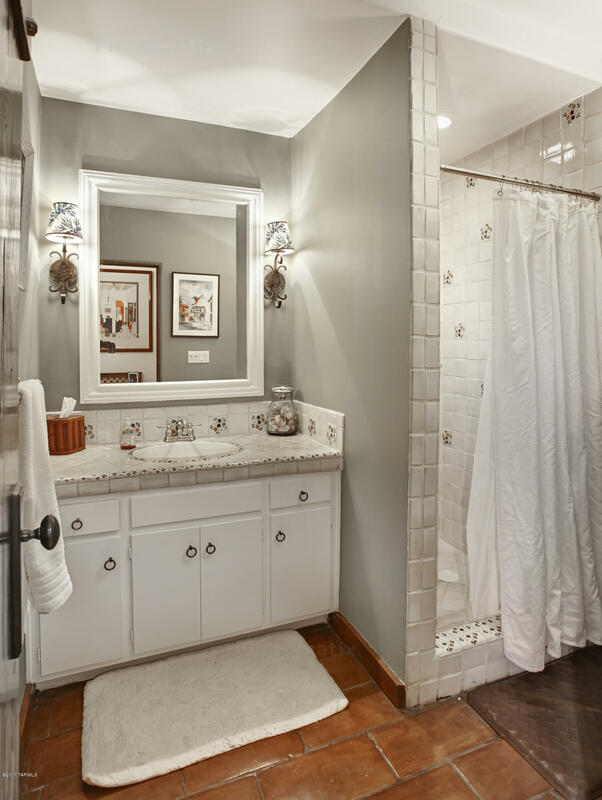 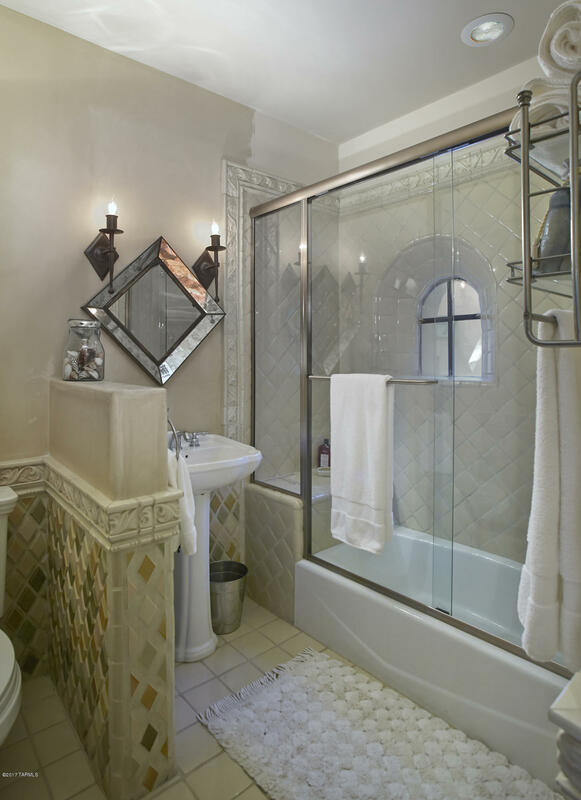 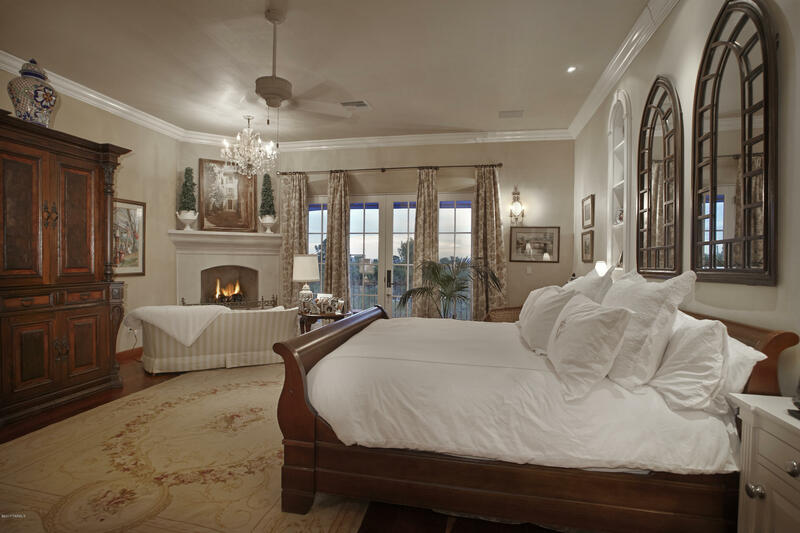 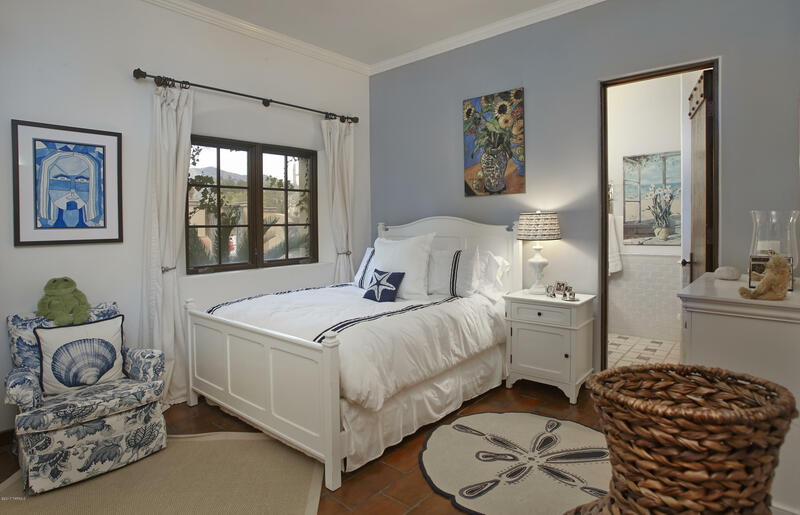 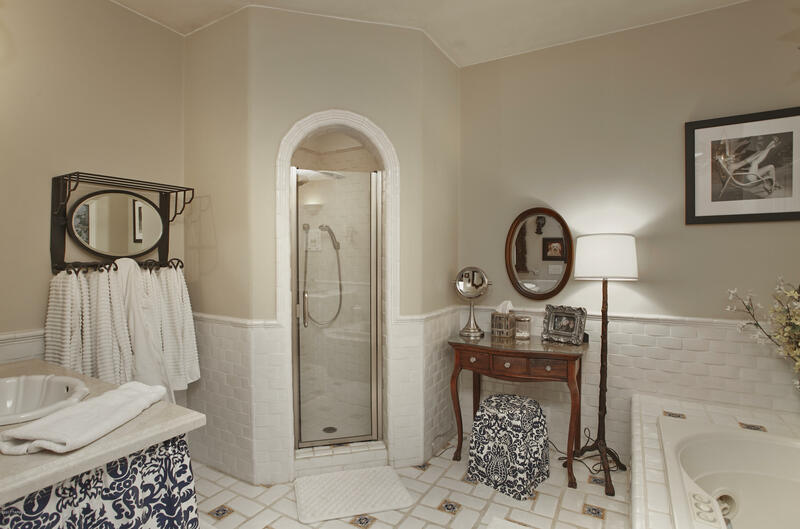 Stunning master suite w/lavish spa like bathroom & enormous closet. 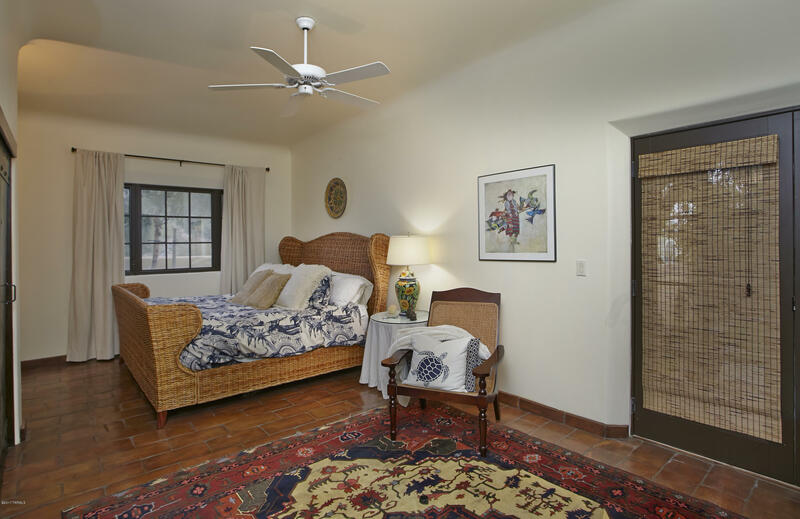 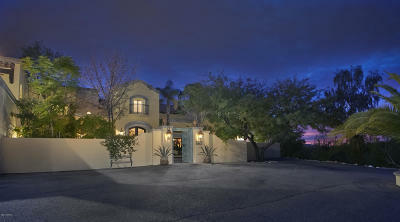 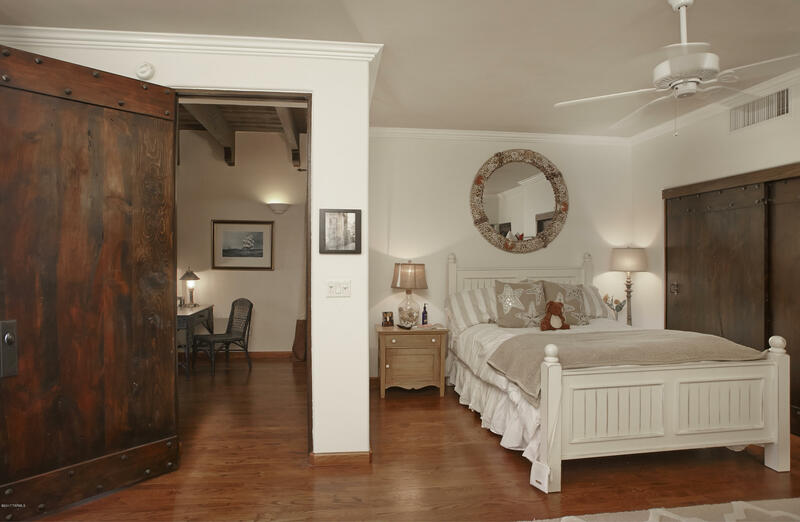 4 luxurious bedroom suites + den in the main house + a 987sq.ft guest house. 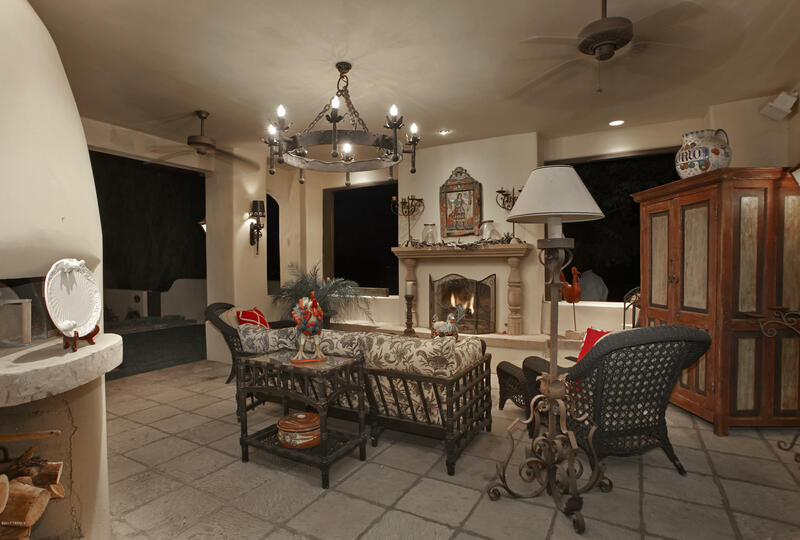 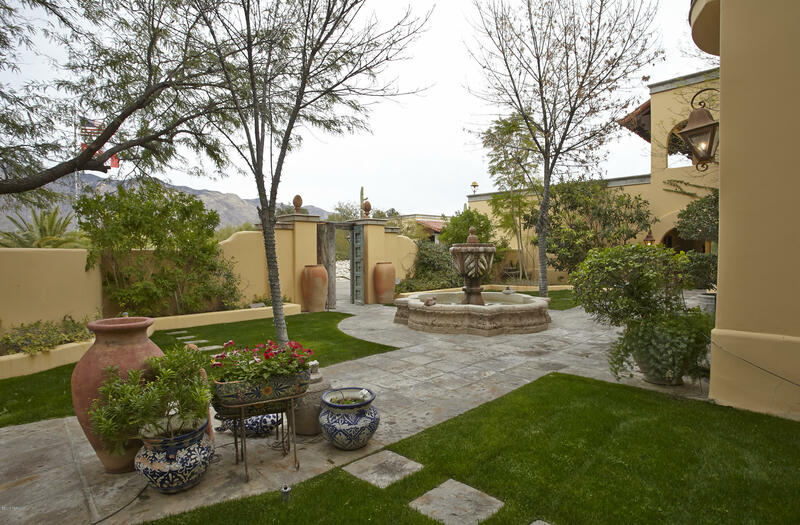 The inviting outdoor living areas & lush landscaping are ideal for entertaining. 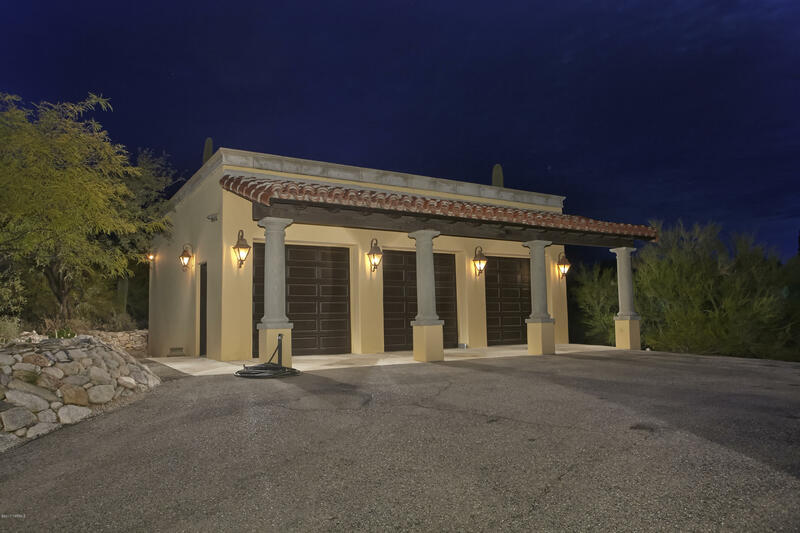 5 car garage, pool/spa.